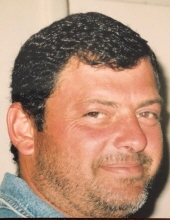 Carlos Paulo De Almeida Daniel, 51, passed away on Sunday, January 27, 2019 at the Father Hudson House – CPCH in Elizabeth, NJ. He was born in France and came to the United States several years ago and resided in the Ironbound Section of Newark, NJ. Son of the late Mapril Daniel and Aurelia Fernandes (nee De Almeida) Daniel; devoted father of Pedro and Paulo Daniel; dear brother of Maria Carreira, Olivia Daniel and Ivone Daniel; also survived by many dear nieces and nephews. Visitation for Carlos will be held on Tuesday, January 29, 2019 at the Buyus Funeral Home 426 Lafayette St. at Wilson Ave., Newark 07105, from 6 – 8 pm. Relatives and friends are welcome to attend. To send flowers or a remembrance gift to the family of Carlos Daniel, please visit our Tribute Store. "Email Address" would like to share the life celebration of Carlos Daniel. Click on the "link" to go to share a favorite memory or leave a condolence message for the family.